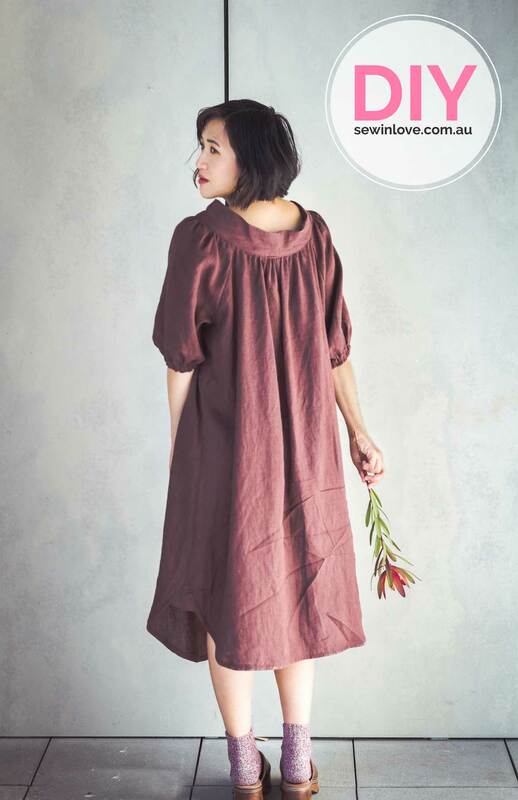 I’m totally addicted to linen at the moment, especially the soft, drapey kind by Merchant and Mills. I never knew linen could feel so silky until I got my hands on this fabric – courtesy of the exciting new online fabric store, Selvage. 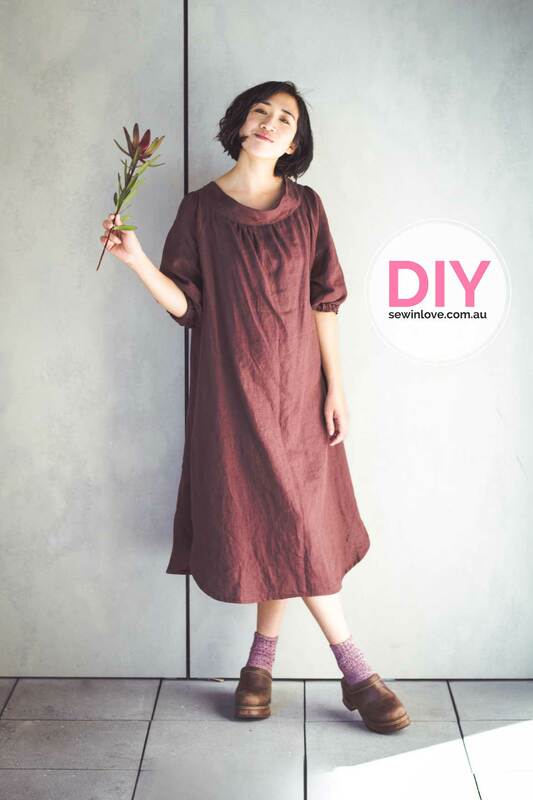 Linen is a pleasure to sew with – it presses really nicely and stays where you need it to when you’re stitching. It also has just enough stiffness so it holds details like tucks, pleats and gathering beautifully. I also love the feel of linen against my skin. Let’s just say I’m a huge linen fan girl! 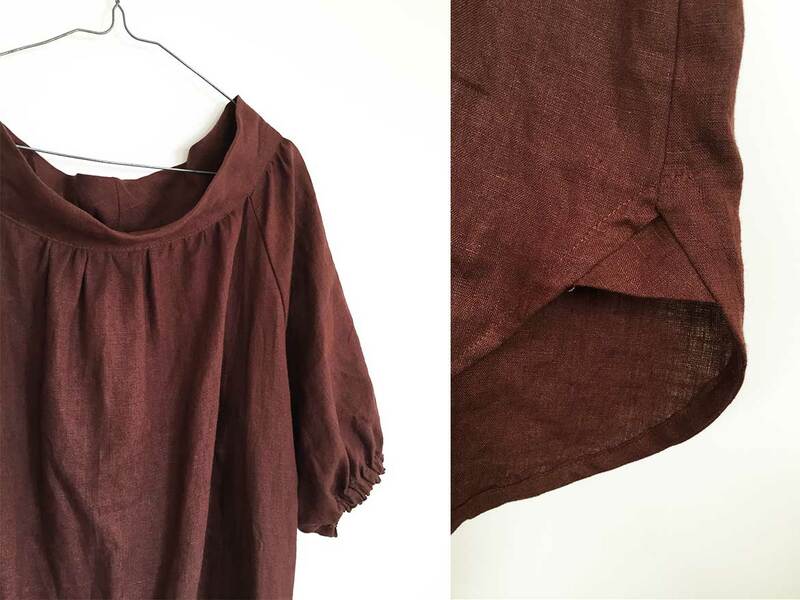 The particular linen I used for my smock dress is Oxblood Linen by Merchant and Mills. The colour sits somewhere between a chocolate brown and dark burgundy – just gorgeous! I’d describe it as a mid-weight fabric, thick enough for for dresses and pants. It’s much softer than any linen I have ever worked with and has a nice drape to it too. But yes, it crinkles easily but that’s the trade-off for wearing linen I guess! 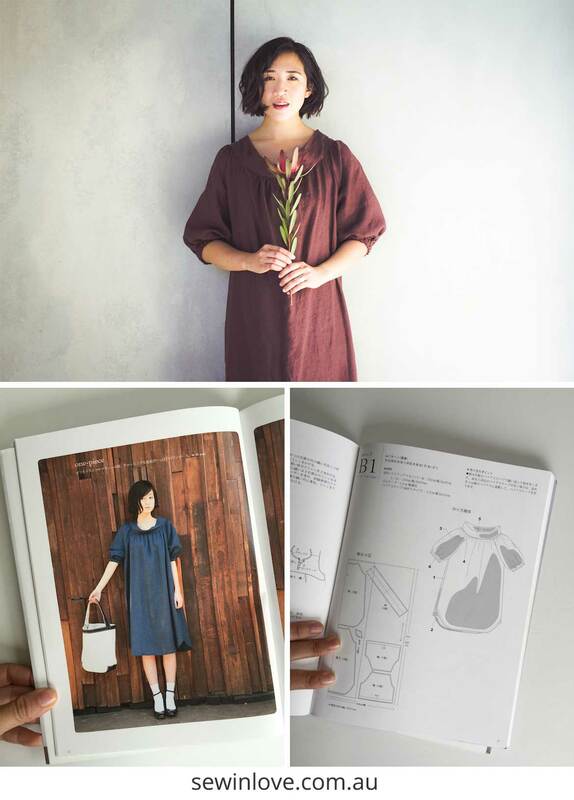 Selvage’s owner, Heidi has curated a beautiful collection of fabric, sewing patterns and accessories for her new online store. 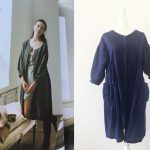 When you look through the store’s gorgeous photos, you can really appreciate Heidi’s focus on quality products to delight sewing lovers. The sewing pattern for this dress is from the Japanese sewing pattern book, Feminine Wardrobe (see book review here). I’ve had this book for years but I still keep coming back to find items I want to make. Oh, and it’s now available in English! Several year ago I made the ruffle front sundress in a red nautical print from this book. I was drawn to this design, B1, because it is just so unusual. 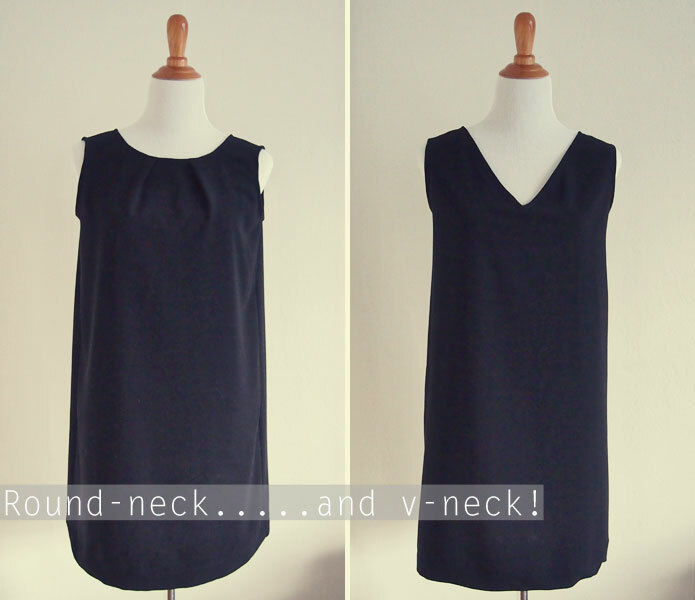 I don’t even know the name to for this neckline – is it round neck? Scoop neck? If you know the proper name for it, I’d love to know! 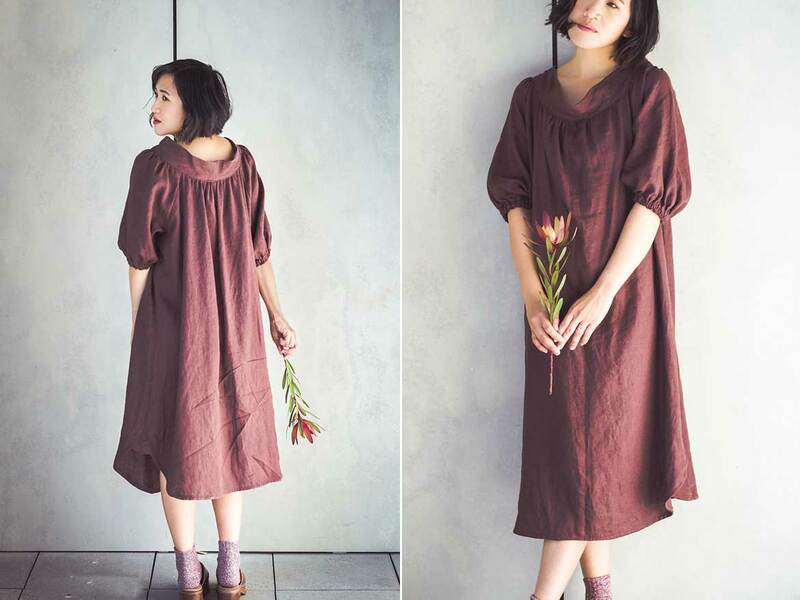 What’s really interesting is the hemline of this dress. 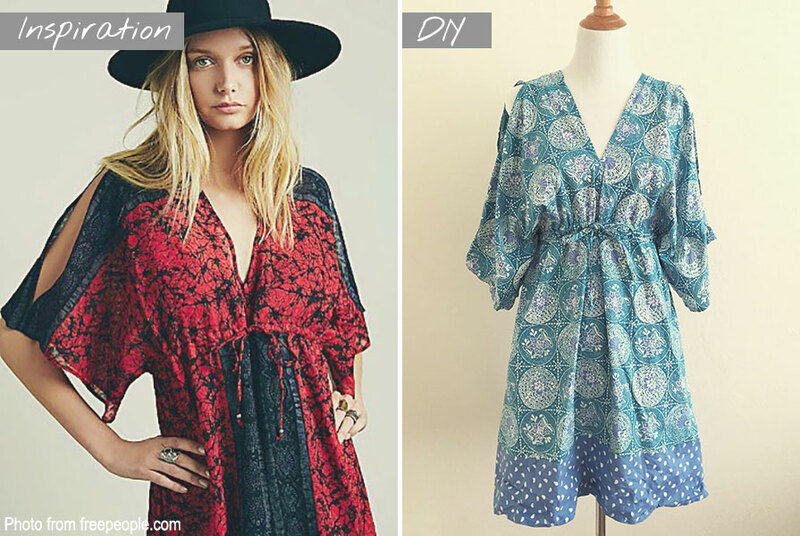 It’s cut like a shirt-tail hem and you insert a little triangle into the slit between the front and back pieces. This was definitely the one and only difficult part of the sewing pattern and I couldn’t quite get the triangle to sit straight. 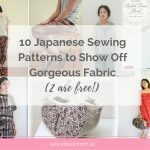 If you’re thinking about attempting this pattern, take extra care on this bit and maybe even baste the entire triangle down before you go at it with the sewing machine. I think the girly puffed sleeves really softens the masculine feel of the shirt-tail hem. Overall, the dress is an elegant and understated piece that doesn’t require any accessories. I’m loving my secondhand clogs (another eBay find!) right now, so I was really happy that it went so well with my new linen dress. Don’t forget your discount coupon expires in 48 hours! 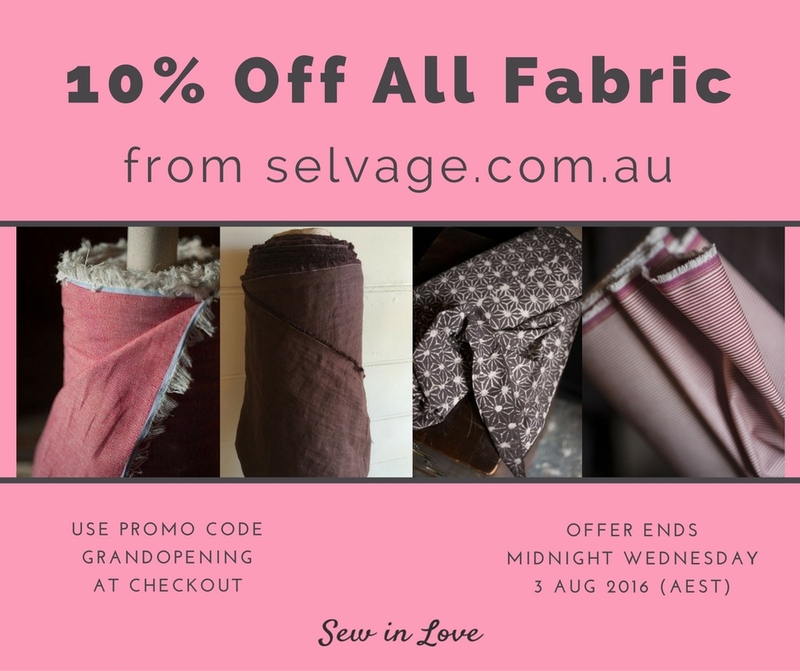 Just a reminder to take advantage of Selvage’s 10% off promo code GRANDOPENING so you can get yourself some Merchant and Mills linen too. 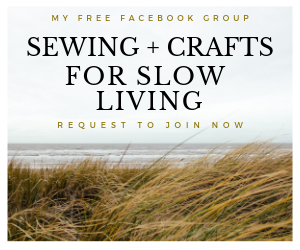 This blog post was kindly sponsored by the amazing new online fabric store, Selvage. Model photography by Sushil Sidhardhan. Product photography by Rin. 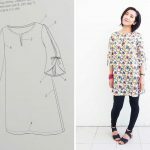 Japanese T shirt pattern to give your serger a workout!